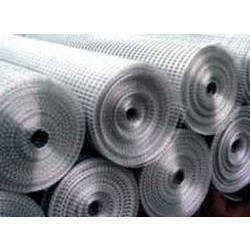 We are a renowned name, which is engaged in delivering an unparalleled range of Reinforcement Weld Mesh. The offered range is made utilizing high grade raw material and latest machinery in tandem with the highest quality norms and standards. Along with this, the offered range is tested on different characteristics to maintain its authenticity throughout the designing process. Parag Industries, being the prominent manufacturer, exporter and supplier of the qualitative range of Fencing Products like fencing wires, fencing meshes, chain link fence. We Parag Industries, Jaipur are availing the products that are galvanized to turn them corrosion resistant, abrasion resistant and to become highly durable. Our diversified range includes Fencing Meshes and Fencing Wires that are manufactured from premium quality of mild steel, stainless steel, pure iron ore and carbon steel. To cater the specific needs of our prestigious clients, we offer them a customized range of Fencing Products based on their respective instructions. Quality of the product is the main motive of our company as we never compromise with it from the time of procurement of raw material to the final dispatch to the marketr in Indian Subcontinent and South East Asia. An aspired team of quality inspectors involved in bringing a flawless range of products by closely examining each of the products on set international quality parameters.